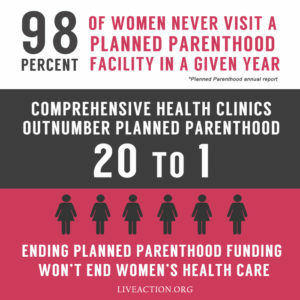 Special to ANS – Planned Parenthood recently released their annual report. To check our figures you can get it here. The American taxpayers, through our elected officials and the budget process, subsidized Planned Parenthood in 2018 with $563.8 million. The US government provided 34% of their entire revenue. In addition, they reported an increase in overall funding (profits) of $244.8 million. Not bad for a government-supported 501c3 non-profit organization. 332,757 abortions performed – up 11,000 from last year and the most abortions since 2012. $563.8 million received in taxpayer dollars – up $20 million from last year. $244.8 million in profits – up nearly 150% since last year. 2,831 adoption referrals – down 27% since last year. Cancer screenings, preventative care, and contraception services are all down. So while so many of its supposed other “services” are down, Planned Parenthood’s abortions, taxpayer funding, and profits are going up. 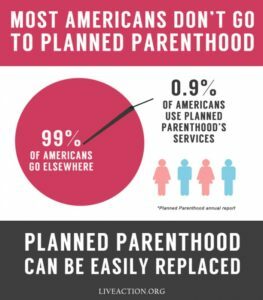 The fact as documented by Planned Parenthood is that their services reach fewer people every year. In fact, only 61% of their expenses went to medical purposes. This means that 39% of their expenses were used for administration, fund-raising, and other activities such as mobilizing anti-Trump activities. Much useful information is provided by LiveAction (www.liveaction.org) started by @LileGraceRose. It is time to not only inform ourselves but to stand up for the unborn. In 1978 at the age of 21 Jeff moved to Vienna, Austria to smuggle bibles behind the Iron Curtain. 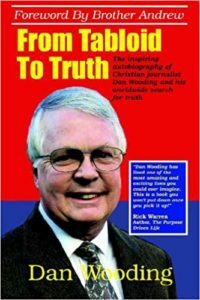 His book, "Leaving The American Sector" available from www.mercyprojects.org chronicles many stories from that time period. He leads Mercy Projects in Murrieta, CA assisting vulnerable children and families in Ukraine, Kosovo, and Armenia. He enjoys expresso from around the world, and this gives him the energy to tell his grandchildren stories of being banned from Russia twice in his lifetime. Dan Wooding and Jeff have known each other for many years.